Globe expresses gratitude to subscribers as this month all customers nationwide are in for exciting line-up of events, treats and exclusive deals from shopping, food and travel. 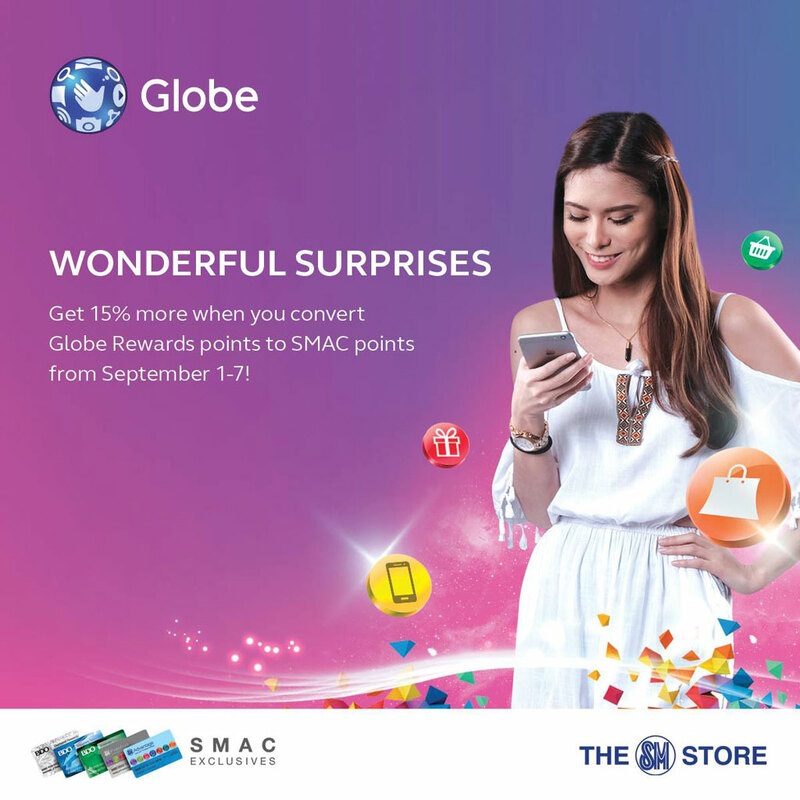 Starting September 1 to 17, 2016, Globe customers will be able to enjoy double their Globe Rewards points whenever they redeem at KFC, Marks & Spencer, SM Cinema and Bench. Globe customers can also avail exclusive items and discounts from online shopping sites like Zalora with P917 deals and P150 discount for a minimum purchase at Lazada. One Globe's special day - September 17, 2016 (0917), the company will have a full day event at the Globe ICONIC entertainment zone at BGC Central. Expect fun activities, prizes and exclusive on-site deals from the company's various brands. There will be exclusive one-day deals like buy one take one special Globe selected flavored ice cream from Bono Gelato or free patries at Figaro Coffee. There would be Php9.17 Grab Car rides or AirAsia's Php917 all-in fare to domestic destinations. One lucky Globe subscriber can win a trip for two in Singapore via Singapore Airline plus a free accommodation at Fairmonth Hotel. Other prizes includes freebies on Netflix subscriptions, Globe Rewards points and free internet data. There will be other special treats coming from September 18 to 30 so be happy loyal Globe subscribers! "We have gone through an inspiring and exciting journey with our customers – from milestone services to network upgrades - all bringing us to where we are today. We are grateful to our millions of customers for staying with us and making us as part of their lives. With this 917 celebration, we look forward to sharing with our customers, partners, and employees delightful treats to make wonderful Globe moments with us. We will continue to be inspired by our stakeholders to provide Filipinos reliable services and fast mobile internet and make their digital lifestyle truly wonderful, “says Globe President and CEO Ernest Cu.